We would like to announce that we will be postponing the FlyPharma Conference Asia until 2020, following lengthy discussions with our Host Sponsor, Hong Kong International Airport, and advice from the industry. We believe that this change is for the overall benefit of our delegates and partners, giving more time to develop the event, and resulting in a stronger and more successful conference. To make sure you continue to recieve the very latest updates on this conference, including the new date once confirmed, email flypharma@samedanltd.com to register your interest. If you are interested in participating as a speaker or sponsor, or have any questions at all, we encourage you to get in touch. The event will build upon the success of the first FlyPharma Conference Asia 2018, which took place 5-6 March 2018 in Hong Kong. Click here to view the 2018 agenda and speakers, or see photos of the event here. 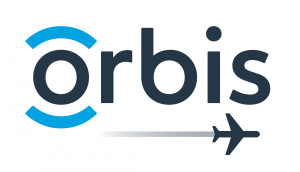 FlyPharma Asia is delighted to announce that Orbis, the international NGO that operates the Flying Eye Hospital, is now the official charity partner for the event. WANT TO FIND OUT MORE ABOUT OTHER FLYPHARMA EVENTS? | 想了解更多關於其他FlyPharma 的活動? The FlyPharma Conference Europe 2019 will be held 22-23 October 2019 at the Radisson Blu Scandinavia Hotel, with the kind support of our Host Sponsor, SAS Cargo. FlyPharma Conference Europe 2019 will be held in Copenhagen – register your interest here. The FlyPharma Conference US 2018 was held 11-12 September 2018 at Miami International Airport Hotel, with our Host Sponsor, Miami International Airport. Visit www.FlyPharmaUS.com for the latest updates.